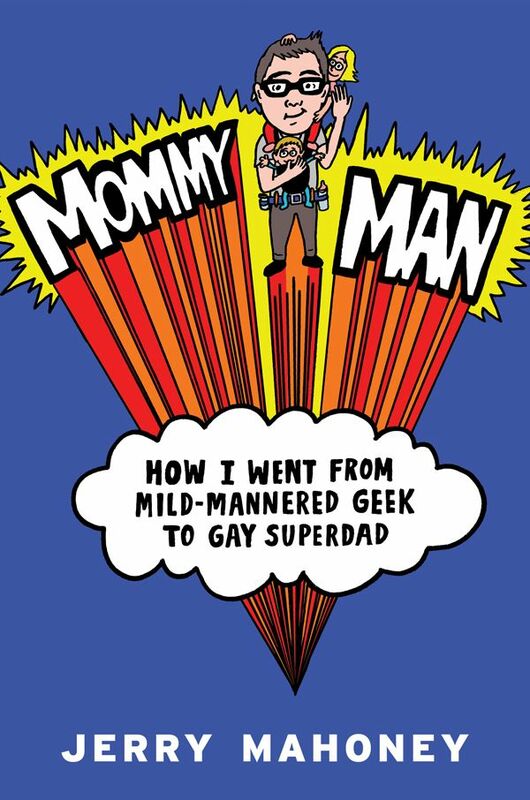 My first book, Mommy Man: How I Went From Mild-Mannered Geek to Gay Superdad (that’s it up above! ), is out now! If you like this blog, you’ll love the book, which is longer, funnier and all about the crazy road my boyfriend and I took to becoming dads. If you’re on GoodReads, be sure to visit my book’s page there by clicking below and marking it “to read”! An ebook version is also available for your Kindle, iPad or other doodad! There are no overseas publishers yet, so if you’re outside the U.S., the only option is to buy it through an American distributor and pay for international shipping. However, a reader pointed out that if you’re in Belgium or the Netherlands, you can visit this site to order a copy. Thanks for the info, Marte! And if anyone knows of any other retailers, domestic or international, who are selling the book, please let me know and I’ll list them here as well. Comedy writer Mahoney, author of the Mommy Man blog, answers the question, “Just how do two gay men become dads?” in this uproarious look at the world of surrogacy. Mahoney’s prologue is written in the form of a letter to his future child explaining that the circumstances of the child’s birth sound like a veritable “adventure story.” He recalls his closeted teen years in the 1980s, when “being a gay teen, like totally sucked, dude.” Later, his coming out proves to be painless, and after a brief period of awkward online dating, he meets his boyfriend Drew, whose conversational skills and generosity help the couple through many difficulties on their path to parenthood. Once they choose surrogacy over adoption, Mahoney enters the period he refers to as “the spermification of my life,” when “suddenly everyone I knew felt comfortable discussing the flagellating residents of my man junk.” Over $100,000 must be collected; Drew’s sister agrees to donate her eggs and the couple finds a terrific surrogate. Months of medical miracles and close calls follow, interspersed with humorous asides about Prop 8 and registering for a baby shower. By the end of this touching book, the proud dads feel that they are the luckiest people alive. It’d be impressive enough if Jerry Mahoney had just written a smart, sweet, touching book about building a family, but somehow, he’s also written one that’s hilariously funny at the same time.Mommy Man belongs on the same shelf with Dan Savage and David Sedaris, unless you’re one of those weirdos who sort your books alphabetically. It’s rare these days that I find the time to read a book, never mind get lost in it, but that’s exactly what I did with the hilarious and poignant Mommy Man. Before I knew it, two hours had passed, and I’d completely fallen in love with Jerry and Drew. I can’t remember the last time I enjoyed a book so much! Hilarious, self-deprecating, and honest. Jerry Mahoney makes it easy to laugh and root for him at the same time. Jerry first stole my heart with his New York Times ‘Modern Love’ essay on finding an egg donor to make him a daddy, so I was thrilled to have a chance to read the whole story. This memoir is astounding, hilarious, heartfelt, and everything I was hoping it would be. I finished it in three sittings (and I have three kids)! Mommy Man is more than just a story about two remarkable men attempting to start a family. It’s also a true-life testament to the power of kindness, of doing the right thing in a world that frequently asks you to be indifferent. When these remarkable family members—some bonded by blood, others not—come together and selflessly make choices to help those they love, the result is a moving and ultimately hopeful account. Also, it features the worst April Fool’s joke ever conceived in recorded human history. — Drew Z. Greenberg, writer/producer whose work includes Buffy the Vampire Slayer. He is not the Drew in this book. You must read this book. Jerry Mahoney’s gift is not just the surprising, moving and hilarious story he tells, but the voice in which he tells it. Compassionate but biting, funny, warm, and most of all, honest, Mahoney makes you wish he would sit down and tell you stories about every one of his life experiences. Luckily, in this book, he has shared many. As Mahoney takes you on his journey of growing up gay in the eighties, coming out in the nineties, and having a child in the new millennium, you realize—it is so rare to read a voice that is both able to disarm and surprise in a single sentence. His tale captures the bravery and terror of being on the frontier of social conventions, medical advances, and family relations . . . if that story were told by the love child of Woody Allen and David Sedaris, as raised by John Hughes. Regardless of your sexual orientation or the number of children you have (or don’t), it is impossible not to get drawn in to this unpredictable, joyful, and hilarious ride to parenthood. The rites of passage seen through Mahoney’s lens are so fulfilling, you feel like you’re eating your veggies and downing a box of Milk Duds at the same time (but not in a gross way). This is a story you will want to share with everyone you know—they will thank you for making them laugh out loud, and won’t even realize, until the end, that they’ve just read a story about the true meaning of family. When I reported on Jerry’s story for the Today Show, I told him I couldn’t wait for the book. Finally, it’s here. Mommy Man should be required reading for every parent in America—and, in turn, passed on to their kids. Mahoney paints a touching and hilarious portrait of family, selflessness, and the labor of love. His very modern family is totally unique, yet in many ways, it’s every family. This book should be in every home. Next stop, Hollywood. This book reads like a comedic coming of age tale, a harrowing adventure saga, and a romantic love story all at once, but the heart and humor lies in the fact that it’s a beautifully and brightly crafted memoir. After reading Mommy Man, I want Mahoney to be my dad, my best friend, and my husband all at once! Who says the romantic comedy is dead? Here comes Mommy Man. Jerry Mahoney’s search for love and family is hilarious, smart, and in the end—profound. This odyssey to create what most people take for granted—family—is humbling, laugh-out-loud funny, and tear-jerking good. I loved this book. This book [is] absolutely wonderful—it takes an incredibly skilled writer to make us roll on the floor with laughter through the many tense moments along the way to daddy-hood. There are many opportunities to read adoption and surrogacy stories, but this is the first time I wished I could be there with the author and his partner throughout their odyssey. As the Bio/Memoir Collection Development librarian for our library, not only will I be purchasing this book for our collection, but I will be recommending it to as many people as I can. I’ll have to get this book. 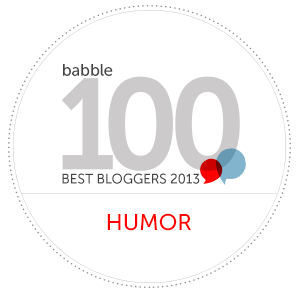 It sounds hilarious! Been a blog reader for a couple of years and just finished your book. Awesome! Read it in 3 days with 2 kids underfoot (they watched a little extra tv and made a little bigger mess those days) and I agree with all the great comments about it. Thanks for sharing your story. And as a nurse, I can totally relate to Evil Betty! I have def cleared a room for the sake of a patient (and hey- Tiffani went into labor when she could finally get that space…). Bravo on a very enjoyable story!